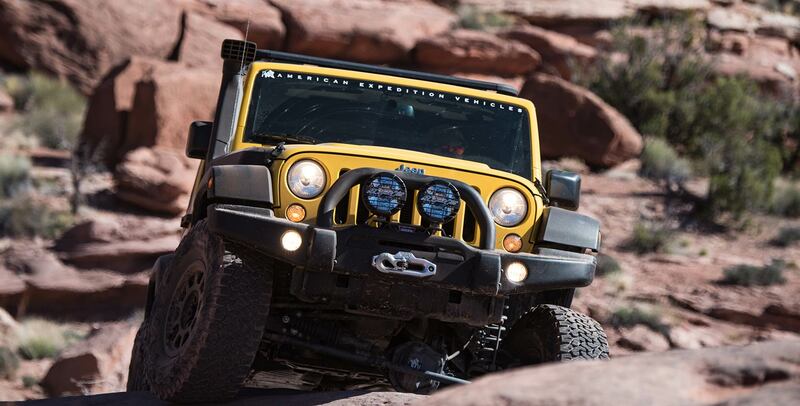 AEV’s Jack Base provides 3-1/2 inches of additional lift height to the stock Wrangler’s “scissor” jack – allowing tires of up to 37″ or more to be changed with ease and stability. Many people don’t realize that the stock jack won’t work to change larger tires until it’s too late, leaving them stranded on the side of the road or worse, on the trail. 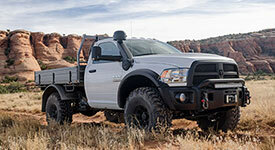 The large 7.5″ x 10.5″ base gives the jack better stability in off-road and soft soil conditions. 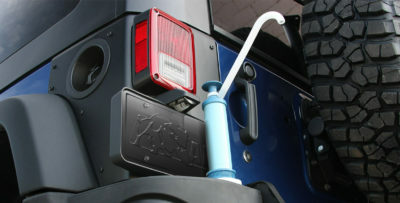 Handy compartments in the base store your AEV lug nut extension and the OE wheel lock key. The Jack Base is shaped to fit neatly into the JK’s rear floor compartment and can also double as a wheel chock to prevent a disabled vehicle or trailer from rolling.